Who loves spicy? 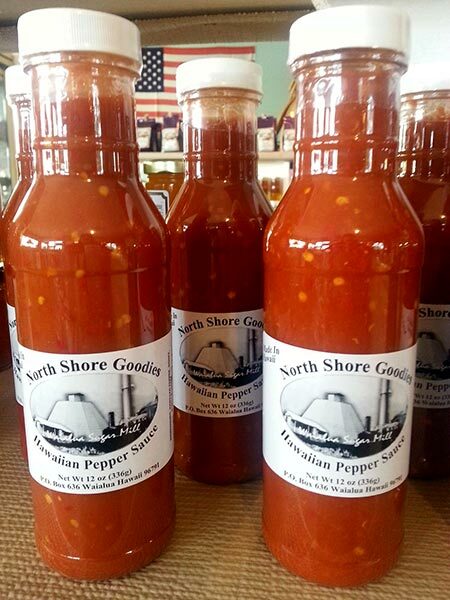 Our Hawaiian Pepper Sauce is another North Shore Goodies favorite. Not too hot, not too mild, but just right! Our Hawaiian Pepper Sauce is the perfect sauce to help add a little spice to your dishes. Hawaiian Peppers are very hot on their own, but we’ve created a unique recipe that mellows the heat to the right intensity, with the addition of honey and vinegar to create a unique flavor that is not too hot, and not too mild. It’s the perfect amount of heat. 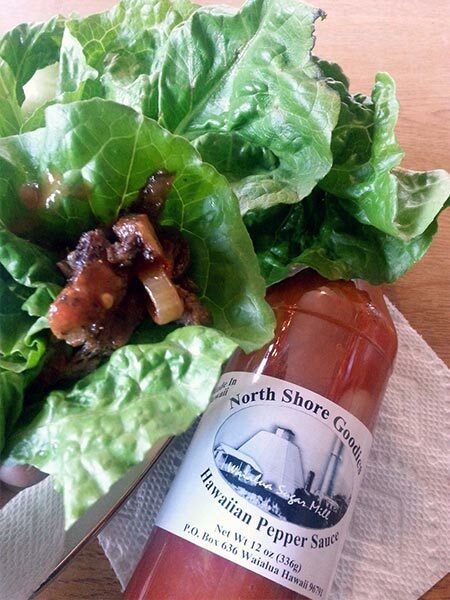 Our Hawaiian Pepper Sauce is made with local ingredients. We use fresh picked Hawaiian Peppers, Hibiscus Honey, Vinegar and Water. It is blended together for a nice kick that goes well with anything.